Gran Centenario® is Mexico's most award-winning ultra-premium tequilas. 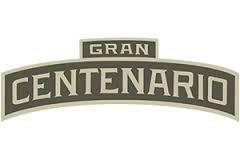 Named in 1895 to commemorate the turn of the new century, Gran Centenario® has remained family owned and continues to be hand crafted in small batches at Hacienda Los Camichines in Jalisico, Mexico. The finest 100 % blue agave Tequila is harvested from plants that range from 10-12 years. More mature than the average 6 years standard it is also grown in the Highlands where the soil is richer. The Tequila is rested in never before used French Limousin oak barrels for optimum flavor then blended with aged tequila reserves for the most unbelievably smooth and rich taste.